Backed by our 25 year Guarantee. 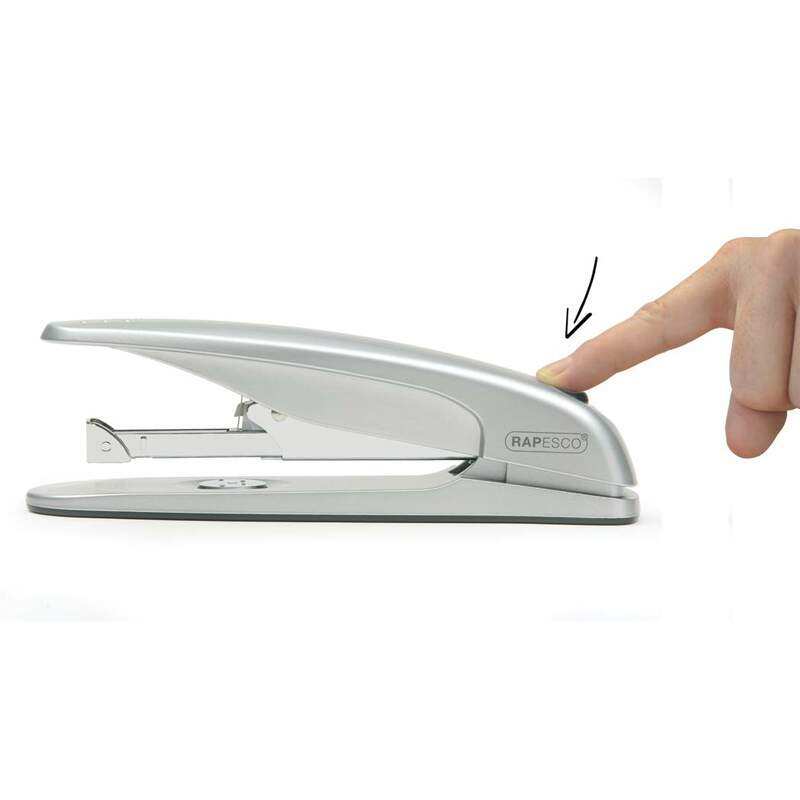 The Zero-01; an executive stapler with high punching capacity and sleek styling thatís a great addition to any desktop. Highly practical, the Rapesco Zero range of staplers are design-driven, combining style with high levels of stapling performance. 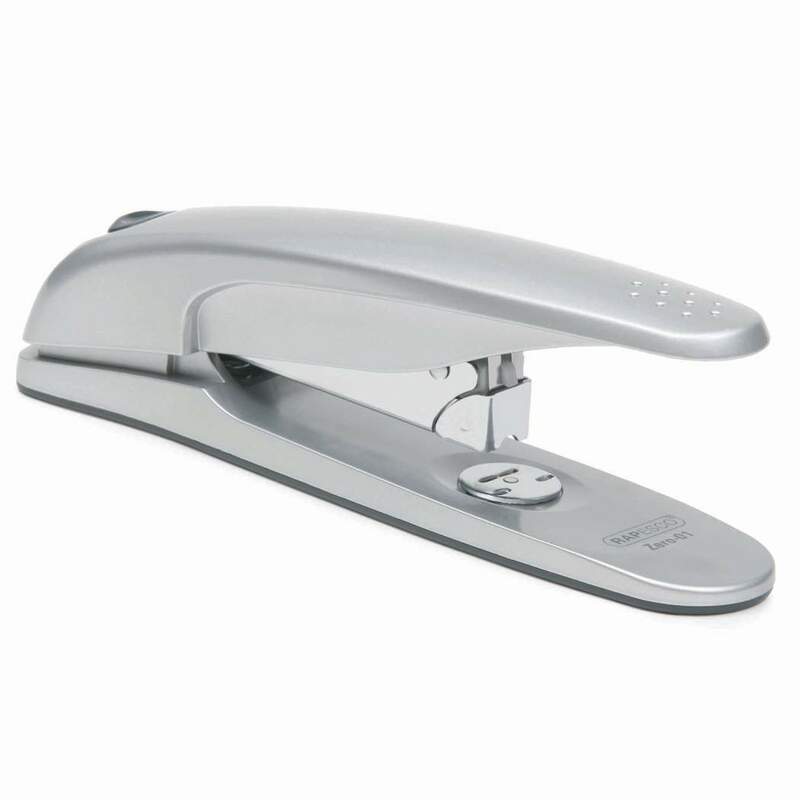 The Zero-01is a sleek, full-strip executive stapler thatís front loading for easy loading of Rapesco 26/6-8mm or 24/6-8mm staples and has a stapling capacity of up to 50 sheets (80gsm) , with a rotating anvil allowing for switching between staple or pin settings for temporary stapling. For optimum performance up to 20 sheets use Rapesco 24/6mm Extra Strong staples. 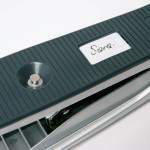 Designed for effortless use, the Zero-01 features a personalisation window, a push-button top-loading magazine and is manufactured to exacting standards with engineered die cast construction. Sleek, stylish and highly practical, the Zero-01 is built to a high standard to ensure continued optimum performance. 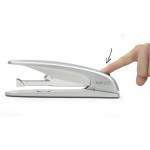 This product is backed by our 25 year guarantee.